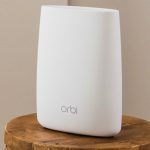 A fast and reliable wireless connection in our homes is more important than ever and Netgear’s new Orbi system has come to the rescue to offer greater coverage everywhere. Orbi is the world’s first tri-band mesh home wi-fi system that creates a network that can cover up to 370 square metres. With the average size of an Australian home at about 215 square metres – Orbi offers enough range to easily reach every corner of your home and your front and back yards. With the number of connected devices in the home it doesn’t take much for a regular wi-fi network to slow down. 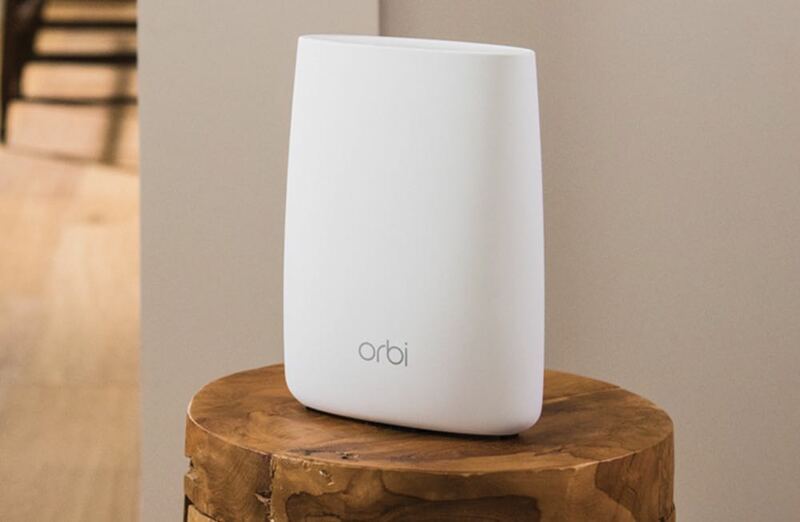 Unlike other dual band mesh networks and extenders that slow down as you add more devices, Orbi creates a single high speed network by using dedicated third band so you’ve got a fast connection throughout your home. This third band is 1.7Gbps at 5Ghz which allows Orbi to reach every corner of your home. 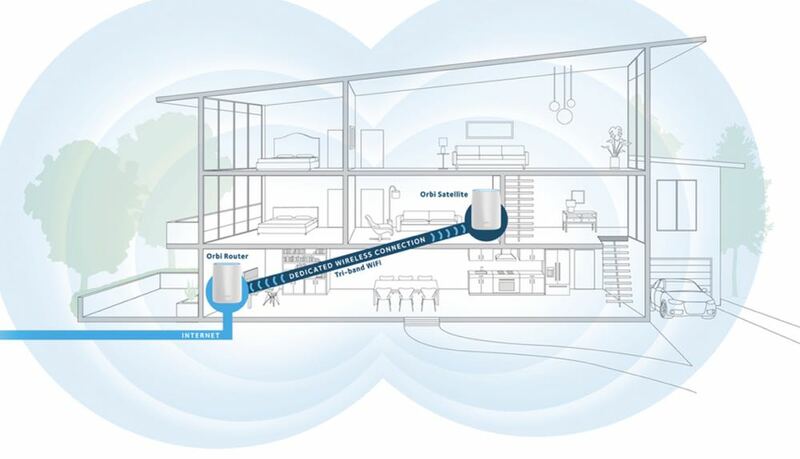 And the Orbi wi-fi network strong enough to travel through walls, stairs and doors. That means consistent coverage and speeds across a larger area. In this age of Netflix and gaming, speed counts so there is less buffering when streaming your movies and playing online. 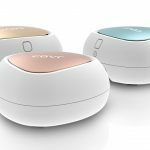 The Orbi system is made up of a router and a satellite which each have a subtle curved chassis that looks more like a decoration than a router. They are 23cm tall and 18cm wide. On the back are Ethernet ports to connect devices along with a USB port. There are no antennas and flashing lights or visible cables. The last thing it looks like is a router which is ideal considering it will sit out in the open in your house. 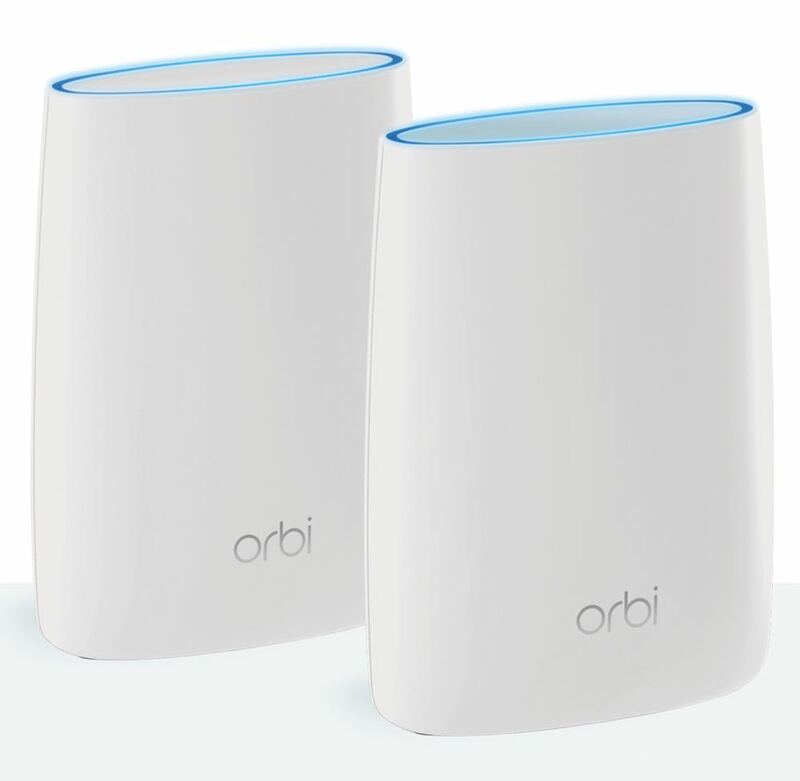 The Orbi router connects directly to your existing modem and the Orbi satellite is then located towards the centre of the house. 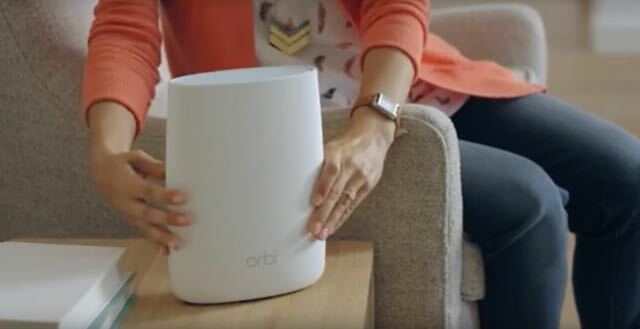 The Orbi router then connects wirelessly to the Orbi satellite and brings with it the best performance it can get out of your router. 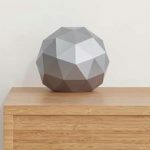 For our review, we connected the Orbi router to our existing router provided by our ISP (internet service provider) which is located in our office by the window in the front of the bottom level of our home. We then placed the Orbi satellite in the middle of the bottom level of our house out in the open. And luckily it looks OK otherwise I would have been told to place it out of sight. 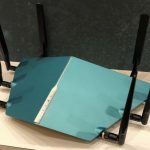 The trouble with nearly every router on the market is that they are hard to connect and, in the case if dual-band models, you end up with more than one network with confusing numbers and letters attached to it. You can change that of course but it’s not the easiest thing to do. You won’t have such issues with Orbi. It was the easiest router we ever connected even with an additional satellite router and all you get is a single network name. This easy set-up was helped greatly by the Orbi app that checks the network was up and running and then stepped us through creating a different admin password (so many people leave their router’s admin password as password) which is not the same as the network password. Admin allows users to adjust the Orbi settings – the main one being when you first connect is changing the name of the network and changing the network password. 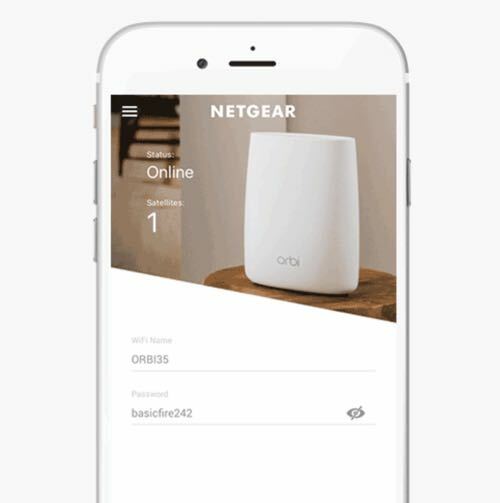 Thanks to Netgear’s Orbi app, it took us less than five minutes to connect the Orbi router and Orbi satellite, change the admin password, change the network name and set a new network password. And if you have a particularly large house you can add even more satellites. But the kit with the Orbi router and single Orbi satellite should be enough to cover most homes. With our Orbi network set-up I was able to connect from the street – about 30m from the satellite and up in our master bedroom at the back of the top level. Same thing on our back deck and in the backyard. We were even able to connect to the network from our neighbour’s yard as well. And we weren’t just able to see coverage bars but could connect to sites quickly and even watch YouTube and stream Netflix without a single hiccup. Our only gripe were the large power bricks required for each Orbi device which might not be the easiest to fit on a powerboard or in a tight space in your home. The Netgear Orbi system is priced at $749 which includes the Orbi router and the Orbi Satellite. 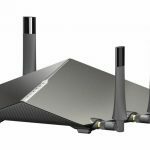 While some may see that as expensive it’s actually competitive considering high-end standalone routers are in the same ball park price wise. But with Orbi you’re getting a plug and play system that’s easy to set up and results in a network that’s stronger, wider and more reliable than any other you’ve ever had. 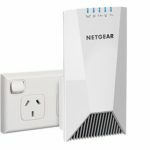 Netgear Orbi’s plug and play simplicity along with the attractive design and superior coverage and speed will make the system an irresistible choice for those looking to beef up the speed and range of their home’s wi-fi network. PROS: Easy to set up, wider range and coverage, nice design that doesn't look like a router. CONS: Expensive, large power bricks. 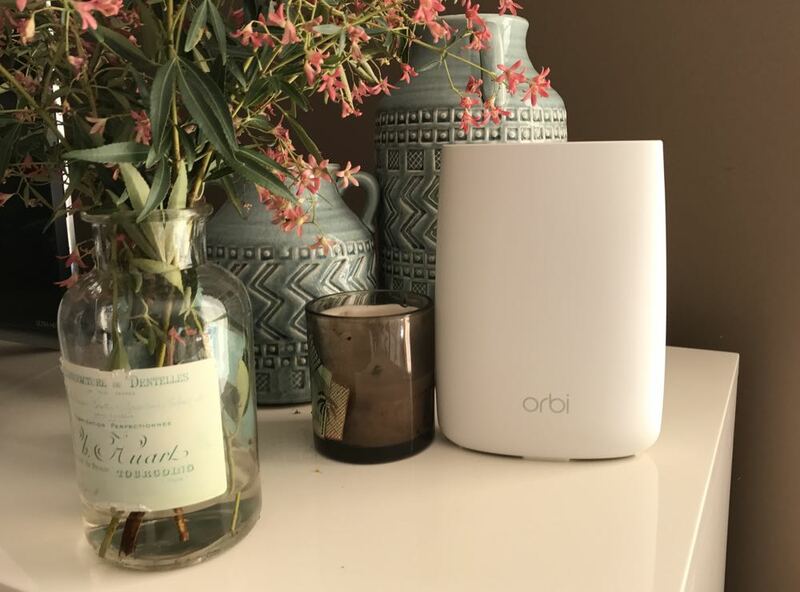 VERDICT: Netgear Orbi’s plug and play simplicity along with the attractive design and superior coverage and speed will make the system an irresistible choice for those looking to beef up the speed and range of their home’s wi-fi network.